That is the FLUPP, the International Literary Festival of the UPPs, or pacified favelas. As the city moves away from its long phase of decadence, Rio is aburble with second-guessers. Complacency gives way to criticism. On board a stuffy, crumbling, creaking circa 1985 VW bus avec automatic door-slider and pagode-on-the-DVD-player, the ride up the hill is also kind of like no sanitation –and– “that!”. 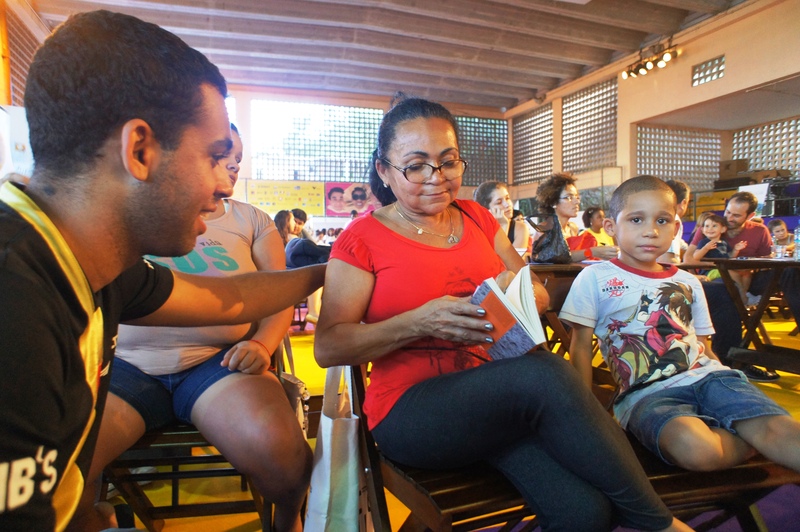 And so, in Morro dos Prazeres sans sanitation (and with porta-potties for festival participants), one of 28 key pacified favelas, about 2,400 people last week grooved on five days of debates, presentations, talks and celebration of books, words and reading. 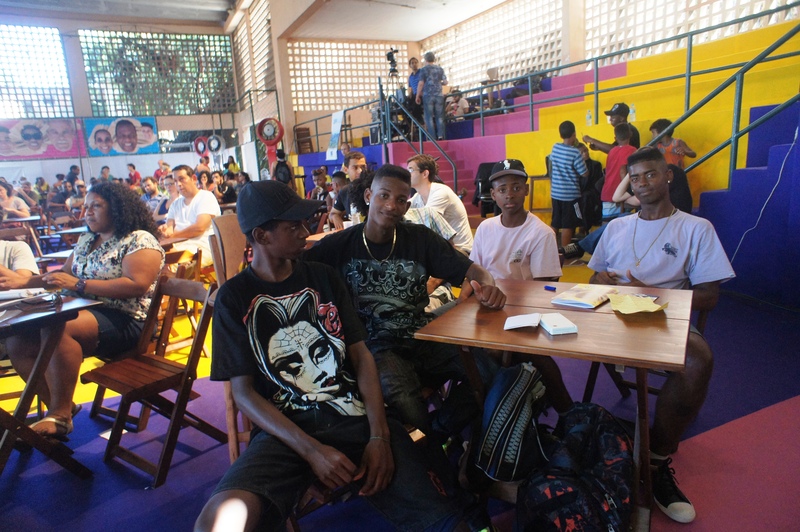 Of these, 90 earlier participated in a four-month 13-favela runup, FLUPP Pensa. This series of literary panels and workshops culled 43 writers whose work was just published in an anthology launched at the FLUPP. Funnily enough, sanitation is also an issue at Brazil’s premiere annual literary festival, in Paraty. There, the tide rises and the sewage creeps in, despite investments made by local residents that include Rede Globo’s Marinho family and scions of Portugal’s Orleans e Bragança royal line. That festival, the FLIP, held every July or August since 2002, draws tens of thousands of book folk (including the likes of Salman Rushdie, Ian McEwan, Gary Shteyngart, Nadine Gordimer, and Isabel Allende) to the historic colonial town midway between Rio de Janeiro and São Paulo, and has spawned many others, in cities such as Ouro Preto and Porto das Galinhas. Attending the FLIP can be expensive, what with tickets, lodging, food and transportation. 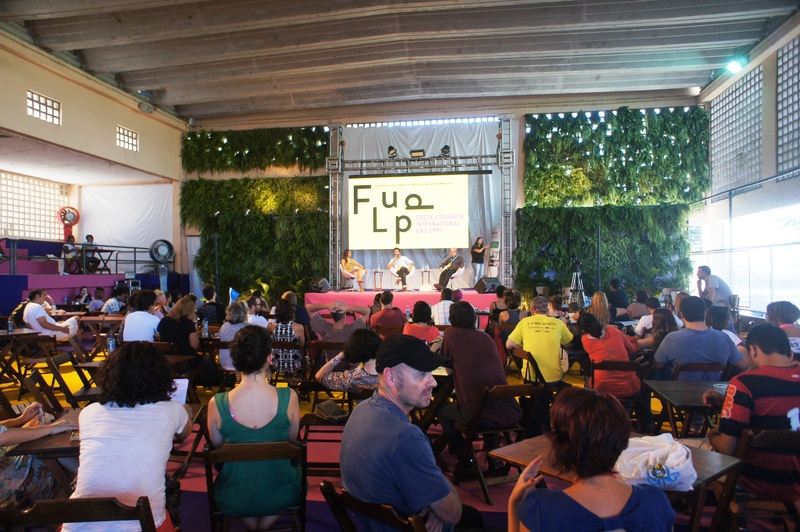 The FLUPP, in contrast, is free– thanks to sponsors such as Petrobras, the Ministry of Culture, the Rio de Janeiro state government, Vale, Itaú, C & A, Firjan, and British, Portuguese and Spanish cultural institutions. It cost US$ 1 million, equivalent. 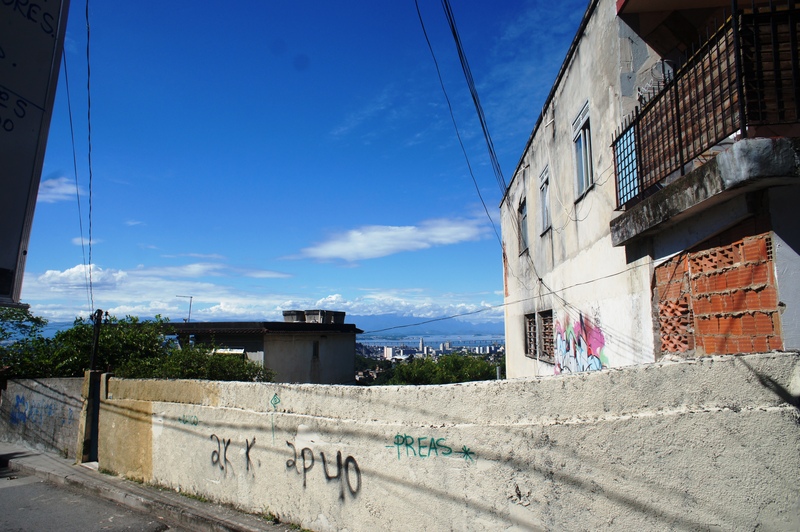 The van zigzags up a main road to Santa Teresa, stopping to let off passengers at entrances to favelas, of which there about fifteen in this hilltop neighborhood that stretches from downtown to Cosme Velho. At last, graffiti artists on ladders and hipswinging music greet the nauseated arrival, at the foot of the Morro dos Prazeres. A short walk up, sits an art deco mansion, the Casarão, now a cultural center. Then comes a specially graffitied stairway, an improvised food court and finally, the FLUPP’s main venue, the community’s covered sports area. There’s no smell of sewage, and a row of labeled bins await sorted recyclable trash. Still, dogs pick at food on the ground. Inside the sports area, tall fans spray the air and two walls are covered in ferns, alleviating the heat. There’s a bar, selling alcohol! 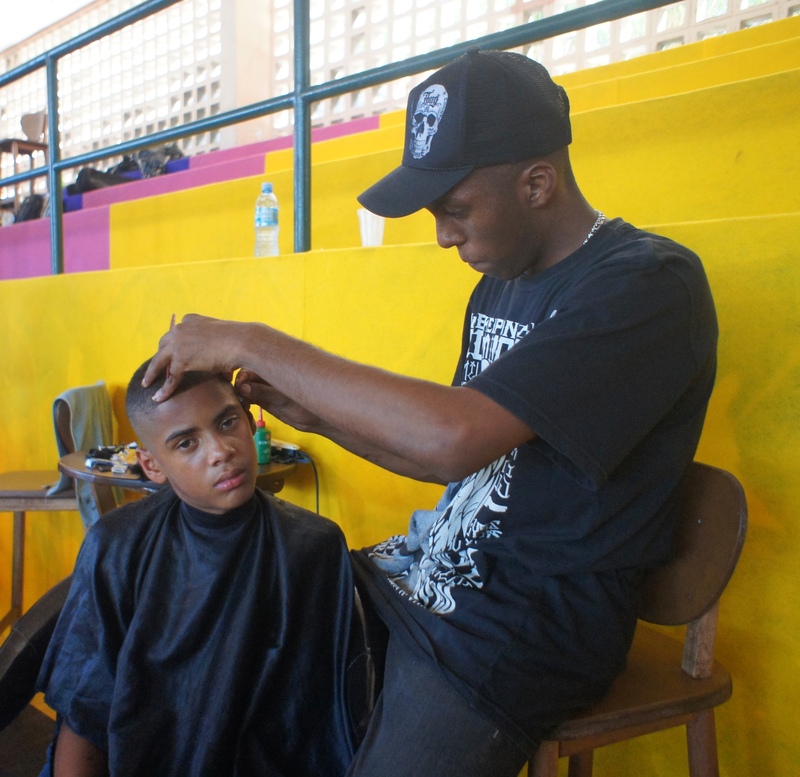 And to one side, a barber trims hair, making designs and letters on scalps, as was the fashion in the U.S. in the eighties and is here, now, among passinho dancers and others favela youth. Meanwhile, writer Francisco Bosco, journalist Marta Porto and Luiz Eduardo Soares, anthropologist and former state public safety secretary, chat about knowledge and wisdom before an audience of all ages. “Everything seems to be getting shorter and shorter,” comments Monique Nix, a young FLUPP Pensa author, during the Q & A session. “From novels, to Twitter. Where are we going with this?” she asks the speakers, part of a lineup that also featured the noted Brazilian writers Ariano Suassuna and João Ubaldo Ribeiro, Libyan rapper MC Swat, Germany’s Thomas Brussig, Mexico’s Juan Pablo Villalobos, Palestinian poet Najwan Darwish, Spain’s Manuel Vilas, and British games creator, Naomi Alderman, among many others. Lindacy Menezes, a 55-year-old Pernambuco-born maid who lives in Rocinha, has a turn with the microphone to say the FLUPP workshops helped her to start writing her life story. “I never knew my parents,” she explains, before gleefully reading aloud a handwritten page. Later, she explains that she’s cut back her workweek from five to three days, so she can write. “My husband and I make enough, we can afford it,” she adds. Later, poet Geraldo Carneiro evinces a euphoria that, while certainly not shared by the angry woman in the VW bus line, is provocative: “Everything of value in this city comes from the favela”. And you can feel the communion in the air, as Afro-Brazilian poet and performer Elisa Lucinda, in a short flashy red dress, says that when people tell her não repare (don’t notice [the mess], a common plea to visitors), as she walks into someone’s home, she says, eu reparo, eu reparo tudo. The stories in the anthology prove she’s not alone, with descriptions of drugs, guns, sexual abuse, what it feels like to have “bad” hair, and life at the hands of “Robocop”. 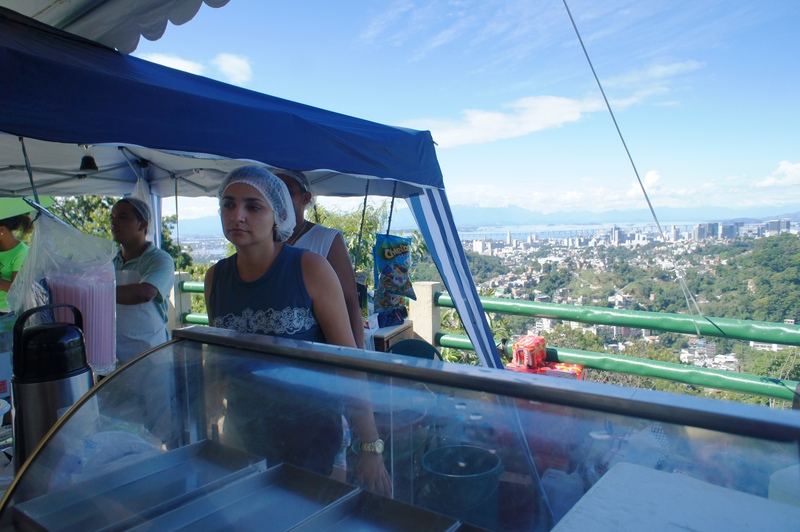 Following a precedent set by the FLIP, FLUPP organizers involved residents of the Morro dos Prazeres during 14 months of preparation for the event. Half of the festival’s 100-person team was local. 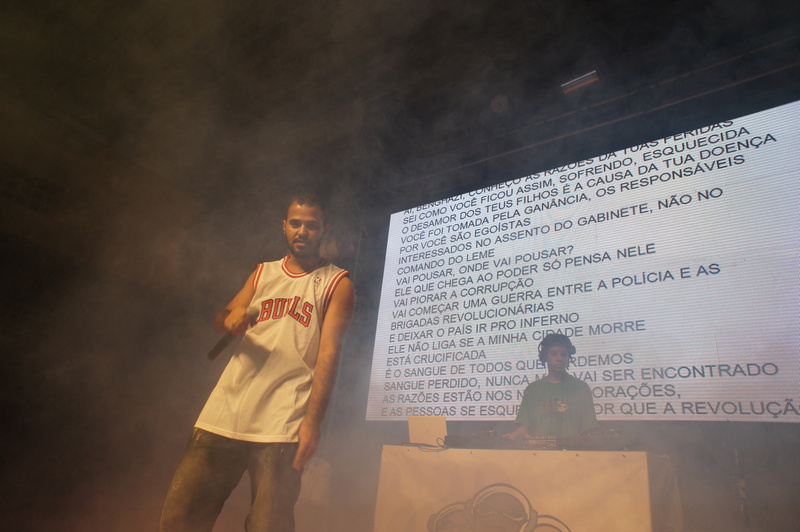 Ecio Salles, one of the festival’s organizers, hopes that Brazil’s federal government will draft a national policy to support literary festivals like this one, to spread them all over the country. Meanwhile, more thought could really be given to sanitation. Today’s O Globo reports that only 28% of all Brazilian municipalities have a sanitation policy (which doesn’t necessarily mean they have adequate waste treatment and disposal for their residents). The digital activism group MeuRio has been agitating for Rio’s sewage and water company, CEDAE to provide this here. A RioRealblog request to the state water and sewage company, CEDAE, for a list of sanitation works in favelas (home to a fifth of the population), ongoing and planned, brought on a surreal exchange with the company’s press rep. “Oh, there are lots,” he said during an initial phone call– and then proceeded to send a description of the laudable cleanups of the lagoons of Barra and Recreio dos Bandeirantes, the Lagoa Rodrigo de Freitas, and Guanabara Bay. Reminded that the question was about favelas, he then sent a list of communities where CEDAE is working to provide water. Reminded that the question was about sewage, he said that sewage in favelas is the city’s responsibility. Which secretariat? 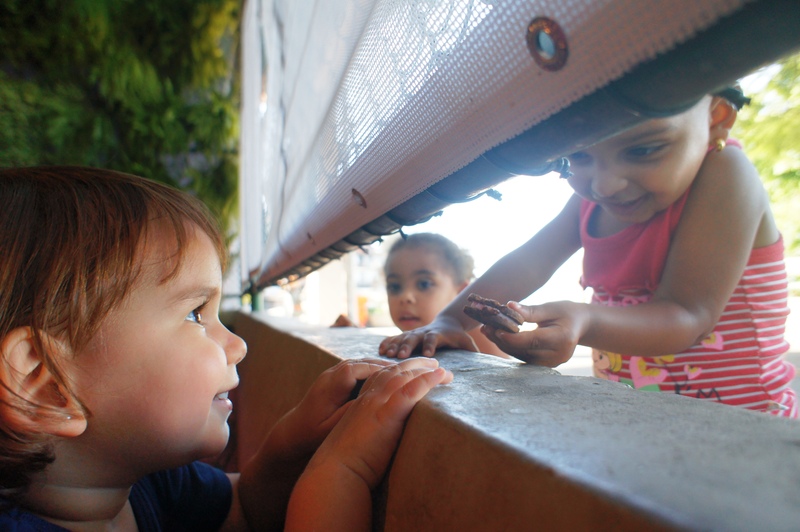 After this post was written, RioRealblog had the opportunity to ask both state-level PAC representative Maria Gabriela Bessa and the city’s Pereira Passos Institute President, Eduarda La Rocque, about sanitation in favelas. 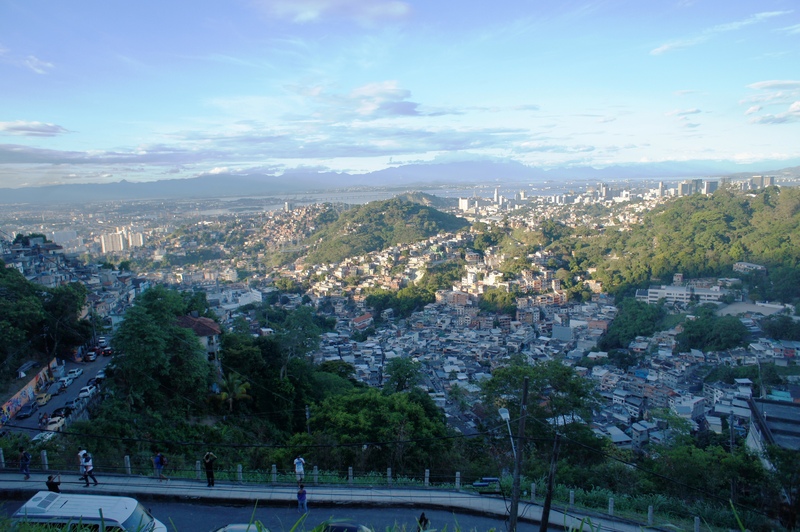 The PAC, Bessa said, has and will carry out sanitation work in the areas where it’s present: Complexo do Alemão, Rocinha, Manguinhos and Pavão-Pavãozinho. La Rocque admitted that the city has yet to address the issue on a broad scale, explaining that in 2007, then-mayor César Maia took on the responsibility for favela sewage collection and treatment, but little was done. So perhaps it’s best to keep our noses in books. This entry was posted in Brazil, Transformation of Rio de Janeiro / Transformação do Rio de Janeiro and tagged Casarão Morro dos Prazeres, Ecio Salles, FLIP, FLUPP, FLUPP Pensa, Julio Ludemir, Meu Rio, Morro dos Prazeres, Rio de Janeiro sanitation, Toni Marques. Bookmark the permalink.